7) Your own Valve is different from the Valve you ordered: If you remove your own Valve and you find that it is different from the Valve you purchased from us, before putting your own Valve back in, please take pictures of YOUR valve beside the New Valve and send them to us. Can you also measure the height of your OWN valve. 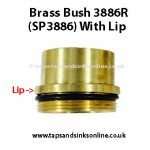 Sometimes it is something as simple as the Brass Bush coming out on the Old valve and so it looks entirely different from the New Valve OR you have ordered the wrong valve (or on very rare occasions, we might make a shipping error). 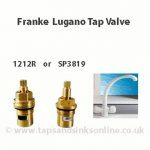 Or you have ordered the two threaded version of your valve but your own Tap has the one threaded version etc. By taking pictures there and then before you put your own Old valve back in, you then have all the information to hand to email us and then we can assist you. 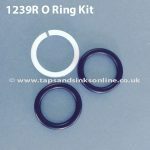 Send all information to sales@tapsandsinkonline.co.uk and include your own Purchase Order number.